Spring is right around the corner. For many serious young hockey players (and their parents!) that often means tryouts, showcases, and prospect camps—which can impact both hockey and educational goals. Unfortunately for not only players but also coaches and scouts, the structure of such events can be less than optimal. Last spring I spent a week in Moscow with some junior and professional coaches and scouts from Canada, the US, Slovakia, Sweden, Poland and Russia. We were gathered together at a prospect camp—not unlike the hundreds (maybe thousands?) held in North America every year. This one consisted of about 80-90 players of various nationalities who were thrown together into teams to play eight ‘games’ over a four day period. The challenge for the junior, college and pro coaches and scouts who were each looking for unique potential within that diverse player set was to try to assess talent / potential during approximately 12 hours of minimally structured game time. And the obvious challenge for each player was to try to be seen as one with talent / potential. Anyone who’s ever been on either side of that equation knows how difficult those challenges actually are under those circumstances. When players are competing with their own linemates and teammates to ‘get noticed’, each shift of what is normally a complex team game is essentially reduced to 12 one-man shows. Naturally for the players, the desire to stand out inevitably produces some shining individual moments, but it also produces some less than stellar hockey plays, ineffective decision-making, and outright showboating. And unfortunately for some players, a simple head cold or minor injury incurred at the time of a camp can of course result in a sub-optimal performance. Because the coaches / scouts in these situations have, in most cases, pretty much zero prior knowledge about the vast majority of the players they might be observing, the situation results in them naturally gravitating towards players who might do a few things that are positively noticeable. But that’s a pretty thin set of datapoints on which to make an assessment. For many hockey players, a tryout or showcase is essentially a snapshot taken from a long, long movie. It can’t tell enough of the story to be meaningful. Being known vs being noticed. What ‘getting noticed’ in those circumstances cannot reveal is a player’s innate mindset, their level of commitment to fitness and learning the game, their personal development, physical growth, their ability to play creatively within a system, their willingness to accept a specific role within a greater whole, or their interpersonal or leadership skills. What ‘getting noticed’ cannot reveal about a player is any meaningful sense of character, because only time and circumstances reveal the truth about people. So while it’s just not possible for scouts or coaches to repeatedly see and get to know every player they might want to personally, we believe that technology can help. 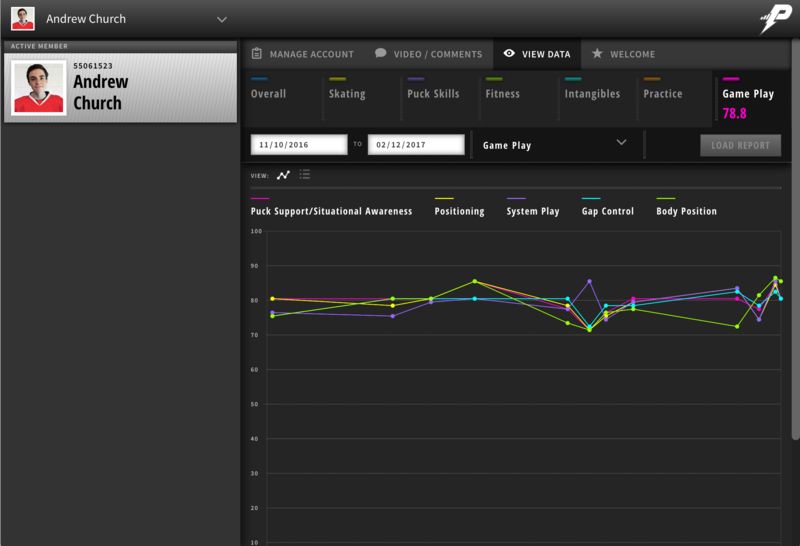 PowerPlayer gathers meaningful data and feedback relating to a player’s skill development, personal traits and tendencies, physical characteristics, and educational accomplishments, over time. And because that data and feedback is provided by numerous coaches who have actually known and worked with those individuals in real circumstances, it offers a level of insight into players that does not exist for all but a select few. So whether you’re a player, a parent, a coach or a scout, next time you’re participating in an open tryout or showcase, imagine how much more effective and efficient the experience would be if player assessments made were supported by significant insight and historical background knowledge provided by many coaches over time. In short, we want to help more kids be known, so that when they get the chance to be noticed there’s more there than meets the eye.